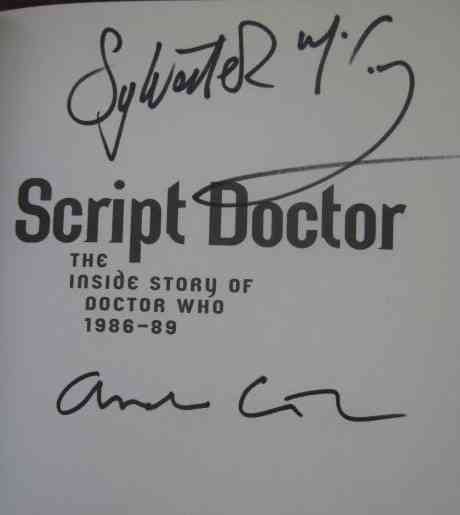 First edition first print paperback of SCRIPT DOCTOR (The Inside Story of Doctor Who 1986-89) by Andrew Cartmel (with a Foreword by Sylvester McCoy) and published by Reynolds & Hearn Ltd in 2005. Signed by Andrew Cartmel and Sylvester McCoy on the half title page. The book is in very good+ condition (pictorial card covers) with no more than light handling and storage wear. No dust jacket as issued. Internally the pages are clean and tight and there are no tears or other inscriptions. 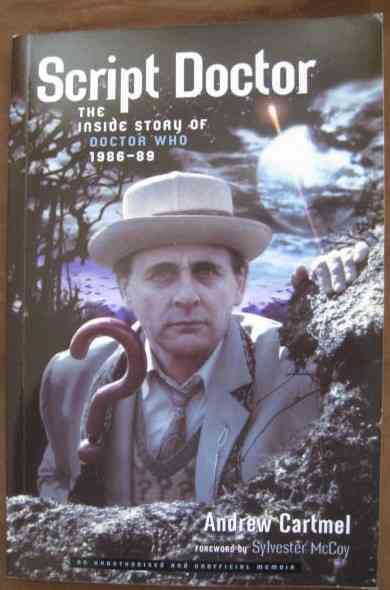 An unauthorised and unofficial memoir by Andrew Cartmel, the script editor of Doctor Who between 1986 and 1989. Script Doctor takes you into the producer's office for smokey script conferences and then into the charged darkness of the studio control room as a television show is being shot. It captures the comedy, chaos and struggle of a television classic being made, against all the odds. These are evocative and amusing dispatches from the trenches, conjuring a firsthand and uncensored flavour of what it was like to be there when the cameras were rolling. And what it was like when they stopped.